The cost of the international Dentist program varies from school to school, there highest being 300,000$ and the lowest being below 100,000$. You will also have additional expenses of rent, grocery, transport and other bills. Dental Education for DDS is a costly affair for International or Foreign students looking to practice Dentistry in United States. 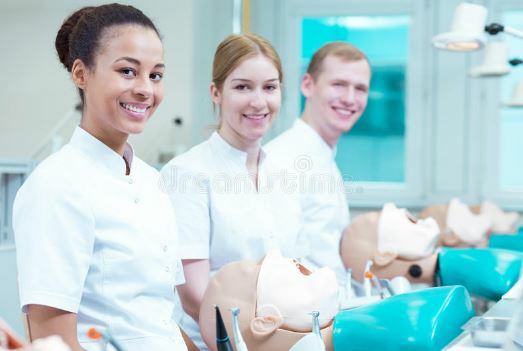 To apply for Dental School to pursue DDS in USA you need to clear NBDE Part 1 and you need to get a good score to be eligible for the respective dental school. Note: The below mentioned costs are per year charges and not for the whole duration of the course. We will be updating fees of other schools as well shortly. To get a loan, the first thing which you need is a co-signer or in simple terms a person giving Surity for the Loan you have taken. The person or co-sginer should be a US citizen or a Green Card Holder. You will be getting a Student loan to cover your DDS course Fees. Can we have multiple co-signers for a single loan? Yes, you can have multiple co-signers for your Student loan, as the loan amount is high sometimes if one co-signer cannot satisfy the criteria multiple co-signers are accepted by the banks. Will the DDS Student Loan cover Living Expenses? Yes, the Student loan which you will be receiving will be covering your Course Fees, living expenses (even if you have a spouse and children), Health Insurance, Dental Instruments / materials, laptop and software plan, food and accommodation charges. When will the DDS Loan Repayment start or begin? Loan repayment for your DDS School / Student Loan will begin 6-9 months after completion of your Schooling or when you get a job – which ever is earlier. Is it Easy to Repay the DDS Student Loan after Graduating? Yes, you can easily repay the DDS School Loan after completion, according to ADA the average starting Salary of a DDS graduate is – $120,000 to $140,000 per anum which is quite sufficient to pay the EMI and have a decent living. What is the Average Salary for Dentists in USA? The Average Salary for Dentist across USA according to ADA is around $300,000 and higher based on your practice, experience, location etc. It is quite clear that you will be able to clear your Student Loan quite comfortably after completing your DDS course and will be among one of the highest earning population in the country. If you have the means and the support from your Family and friends both in your Country and Abroad, you can take the risk and fulfill your Dream by completing DDS in USA and practicing as a Dentist. 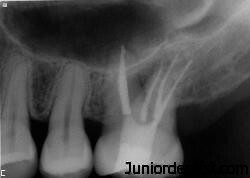 What are the chances of getting job as a dentist in US after completing DDS? Congratulations on completing your BDS, welcome to the Dental fraternity. As you want to do DDS in USA, it is important to know about these Examinations – NBDE Part 1 and Part 2 after which you need to complete DDS. Here is a useful link from American Dental Association regarding NDE examinations – https://www.ada.org/en/jcnde/examinations/nbde-general-information. THANKS FOR THE INFO. WELDONE DOC.PLS HOW CAN I COPY THIS ? How many years of DDS course has to do? 2 years of DDS course has to be done and to get into a Univ for DDS course you need to first Clear NBDE Part and Part 2 in USA or NDEB for Canada. Lovely article! Just one question. Are these costs for the international dentist program or are these the general fee that an average american pays for a dental school? I have my BDS degree from India. Now i want to persue DDS from the US. I don’t know anyone there. How can i get the loan ??? You need to either get someone from USA to sign for your Loan or show that you have sufficient funds with which you can repay the loan if need arises, but this process is quite complicated. You can contact other DDS graduates through forums and find out complete details. I have a question, can i do the nbde part 1 test before finish my graduation in Brasil?